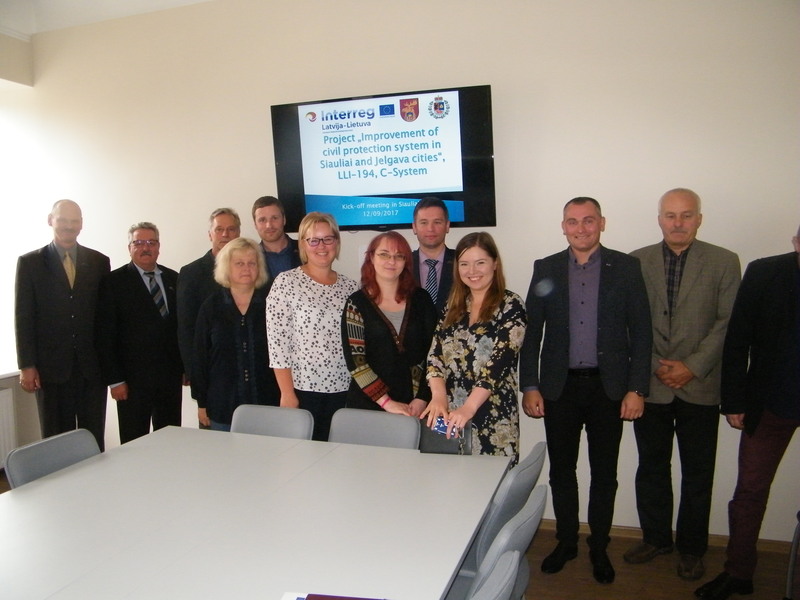 The common challenge of the Programme area which project partners are jointly tackling in the project is a potential to increase the capacity and quality of civil protection services provided by Latvian and Lithuanian local institutions. The project will be useful in public civil protection sector which can be strengthened. Overall objective of the project is to improve the system of civil protection, ensuring operative and effective public administration services and to implement monitoring of civil people protection (protection of houses, protection of environment, protection of work and school). The purchasing of new equipment and investments in infrastructure should foster creation of effective cross-border co-operation in emergency situations, thus improving safety of civil people in both sides of the border. The main project outputs the project will produce are: increased capacity of partner institutions, special equipment and services purchased, civil protection system with the function of mapping, mobile application and GIS launched and developed. Modernization of material base for civil protection system will raise availability of public services in the field of civil protection. 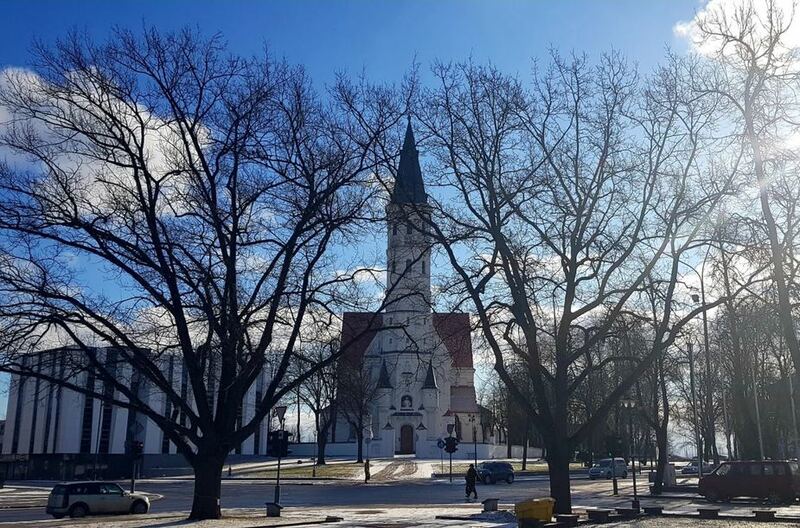 All outputs will be freely available to general public, because every inhabitant of Siauliai and Jelgava city will be safer after completing the goals of the project. Project aims to support actions to prevent and deal with cross border crime and improve civil safety in the Programme area. Cross border cooperation would facilitate improved harmonisation of systems for ensuring public safety as well as the implementation of joint activities for combating crime more effectively. New solutions that will be developed during the project are: (1) city coordination centre of social information and operational management establishment in Siauliai city and development in Jelgava city; (2) monitoring of the situation in potentially socially dangerous Siauliai city and Jelgava city places by special equipment; (3) Creating (in Lithuanian side) and developing (in Latvian side) of system with mapping function, which will be used to target spotted problems: public order violations, trading illegal (smuggled) goods, etc. This project achieves the main objective of the Programme and specific objective of this Programme. Overall objective of the project is to improve the system of civil protection, ensuring operative and effective public administration services and to implement monitoring of civil people protection (protection of houses, protection of environment, protection of work and school). 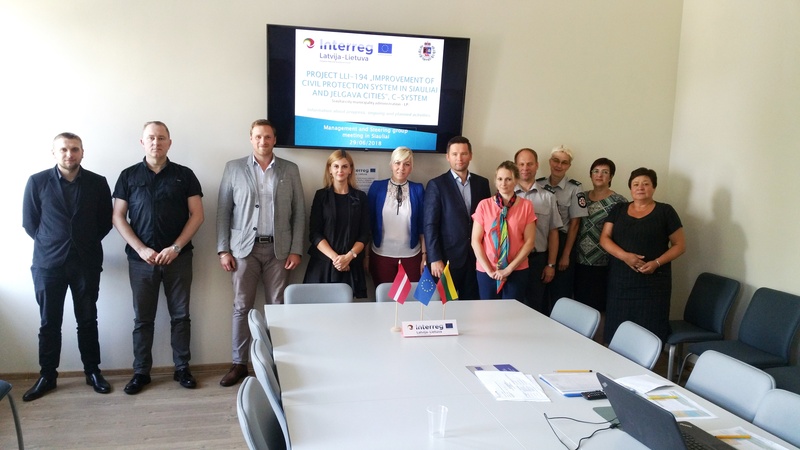 Overall objective of the project is directly linked to Programme priority specific objective because: (1) cross-border cooperation is required to combat cross-border crime and civil protection issues; (2) close proximity of regions (Siauliai and Jelgava) is a potential for joint services and administrative cooperation; (3) a legal framework for cross-border cooperation is in place, thus the Programme and project that is going to be implemented can focus on cooperation activities in the field of public services. 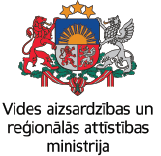 City coordination center of social information and operational management established in Siauliai city and adapted in Jelgava city. 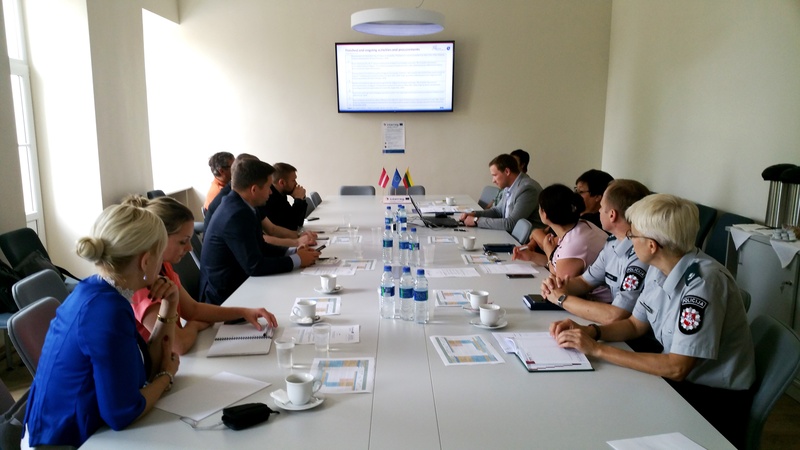 On the 29 of June, 2018, 2nd Steering Committee and Management groups meeting were held in Siauliai city municipality, Vasario 16-osios Street 62, Lithuania, Room 237. The main aim of the meetings were to schedule activities, discuss project implementing process and achieved progress, projects reports and prepare coming work plans. Also good experience and impressions from Glasgow Coordination Centre visit on 12-14 of June, 2018 were discussed.